Tamworth yesterday to see Clan Line and Aston today to see 97s top and tailing a test train. May upload the photos this evening. This entry was posted in *Latest news by e-mail on November 30, 2010 by Sharpo. Probably the last time I will see 86218, as it has now been overhauled & repainted in Floyd livery for export to Hungary. It was being hauled from Long Marston to Crewe for testing before being shipped across to Hungary. This entry was posted in Sharpo's World Photo Updates and tagged 86, class 47, Photo Galleries, Trains on November 28, 2010 by Sharpo. Gave the river walk a miss today & walked to Bewdley station instead, caught the DMU to Arley and had about half an hour for sandwiches & a cuppa before the DMU returned from Highley and took us back to Bewdley. 46443 was working the other train, which crossed with the DMU at Bewdley and 7802 looked in steam on Rock siding. We were in the rear car of the DMU, facing the rear of the train, KC would rather see where she is going & stood on my lap with hers paws over my shoulder so that she could get a better view!! This entry was posted in Severn Valley Railway on November 27, 2010 by Sharpo. The 47 went to Long Marston this morning to collect 86218 (in Floyd livery) and take it to Crewe. This entry was posted in *Latest news by e-mail on November 24, 2010 by Sharpo. As mentioned in an e-mail posting yesterday, had a trip to Crewe to see Clan Line, which was due to run 2 test runs to Chester & return. I couldn’t get there to see it depart on the first run, but was ready for it on the return. Fortunately it stayed in the station long enough for me to cross to another platform for some photos on the sunny side. It would be about an hour & a half before it set off from the Heritage Centre on the second run and the light wouldn’t be too good, especially as clouds hid the sun, but I waited and the shots aren’t too bad. You have to suffer the cold & poor light when it’s a loco that’s rarely seen in this area! This entry was posted in Sharpo's World Photo Updates and tagged Photo Galleries, steam, train on November 23, 2010 by Sharpo. A few hours up at Crewe to see the loco on a test run. It was running to Chester and back, twice. This entry was posted in *Latest news by e-mail on November 22, 2010 by Sharpo. Bit too muddy for a walk by the river, so straight up to Arley station, arriving just as 4566 was on the way back from Highley. Then time for a cuppa & sandwiches before the DMU would appear on the next train for Highley. Bitterly cold so a second round of hot drinks to await the diner, hauled by 7802. Can’t say I wasn’t pleased to be heading home to a warm house after the departure of the diner & the DMU. This entry was posted in Severn Valley Railway on November 21, 2010 by Sharpo. We knew in advance that refreshments would not be available at Arley, so headed to Bewdley for lunch. First train seen was D8188, with 2 Siphons & 2 tank wagons for Arley. This was held until the service trains had crossed, 4566 on one train and the other was the 3-car DMU. Not much to photograph at this time of year, so perhaps I should try to improve the “untidy” parts of the galleries. Road vehicles have always been hard work for me, as I’m not good at identifying them, and programmes weren’t always too helpful. The removal of web site pages a year or two ago after being “hacked” didn’t help either, so I will spend some time browsing car photos and try to link up more of the galleries from this blog. 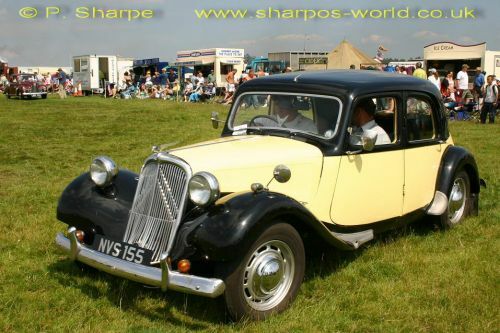 A set of 43 photos of cars at the Cheshire steam fair seemed an easy starting place and a list of registrations, make, model and year (if known) has been created. The above is the first page to be added in the “Traction Engine Rally” section of this blog. Hopefully more pages like this will be added for the other rallies I attended. If any information is wrong, or you can add information – let me know. This entry was posted in Classic Cars on November 19, 2010 by Sharpo. At Bewdley today D8188 was shunting stock, 4566 had been turned at Kidderminster and was insteam with 2 GWR coaches. A Wickham trolley also passed through the station. 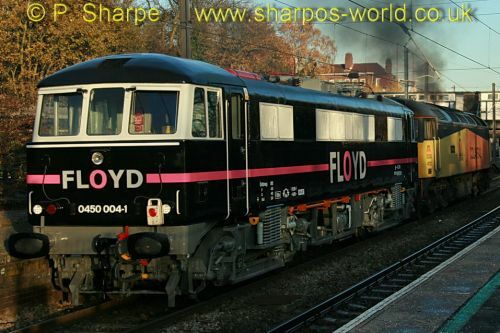 This entry was posted in Severn Valley Railway on November 18, 2010 by Sharpo. Just realised “guests” could only view thumbnails, so altered the settings for you to see the other sizes as well. Also the home page of the gallery has been simplified to cut down the number of thumbnails that are displayed, meaning the page will load much faster. Will have a go at enabling “comments” sometime on Monday. This entry was posted in Photo Galleries on November 15, 2010 by Sharpo. Phew, what a relief, the upgrade has worked. Even made modifications to make some of the pages my usual yellow colour. What is different to the previous version? It is probably much more “secure” etc. but the main differences will be what you can see. Firstly, you can now move backwards & forwards through the thumbnails in the filmstrip alongside the intermediate image by using the little blue arrows (the up arrow takes you backwards and the down arrow forwards) Next, when looking at intermediate images, you can move backwards or forwards through the intermediate images using the arrow left or arrow right keys on the keyboard. The arrow down key will show or hide the file information, finally the arrow up key will take you up a level to the page of thumbnail for that album. Now that I like, so much easier than the mouse! Thumbnails for an album can now be set to “random”, so when the settings have all been altered the thumbnails for those albums will keep changing. Finally for now, thumbnails will show for albums with linked files. Hopefully I will enable comments to be added again soon. I disabled comments years ago, due to spambots etc. This entry was posted in Photo Galleries on November 14, 2010 by Sharpo.